A Pumpkinpalooza classic. 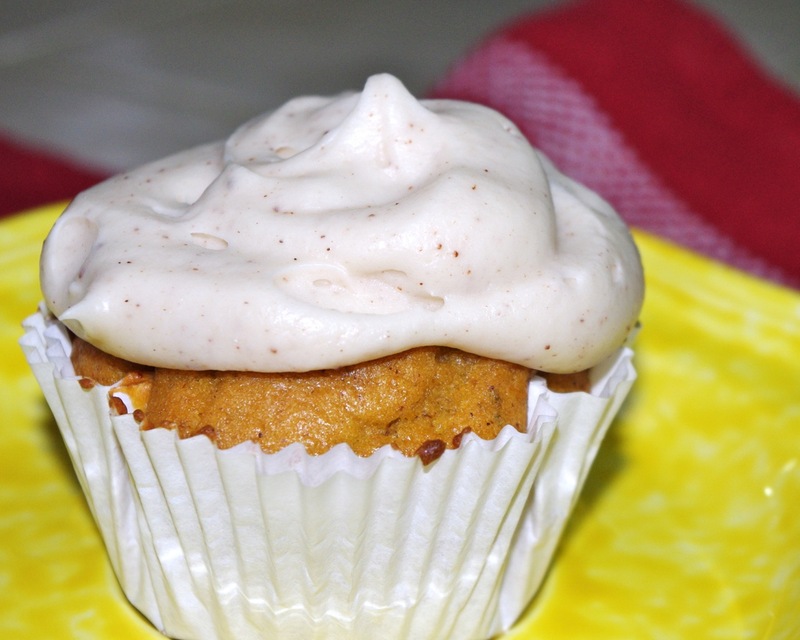 The secret to pumpkin cupcakes is freshly ground cinnamon in the cream cheese frosting. Really, grind all the spices freshly. Do it. Cinnamon sticks are very hard and I have found that the best technique for grinding them is to break the sticks into chips in a mortar and pestle and then grind the chips in a cheap, blade coffee grinder. Make sure you shake the grinder as you pulse it. Preheat oven to 375F. Grease or line cupcake tins. Sift flour together with spices, salt, baking powder and baking soda then set aside. Beat butter and sugars together in a large mixing bowl until light and fluffy. Add eggs to the sugar mixture one at a time, beating until egg is completely incorporated before adding the other. Add milk and puree and beat until combined. Gradually stir in the flour mixture until just incorporated (do not over-mix this last step or you’ll have tough cupcakes). Pour batter into prepared cupcake tins and bake in preheated oven 25 minutes or until golden and the tops spring back when lightly pressed. Cool in tins 5 minutes before removing to cool completely on wire racks. While the cupcakes cool prepare the icing by creaming the cheese and butter together until blended smooth. Beat in confectioners’ sugar a little at a time until incorporated. Add vanilla and cinnamon and beat until fluffy and well combined.